Neal Locks and Loads, Firing from All Cylinders in 2018? 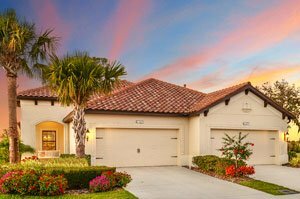 SARASOTA, FLORIDA, January 4, 2018 – With its home sales at a record pace moving into the last quarter of 2017, Neal Communities looks ready to head onwards the New Year firing from all cylinders. 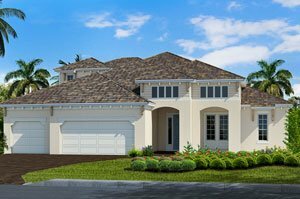 In early 2018, this homebuilder is set to hold a grand opening for its new community of Tides End in West Bradenton and introduce as well its villa home styles in Indigo, one of its new neighborhoods in Lakewood Ranch. Tides End is located on a 19.6-acre site on 17th Avenue Northwest in Bradenton. This development will feature a one-acre park at its center and will be developed as an island-style community with 38 single family homes designed under Neal’s Coastal Series. In October, Neal broke ground for a model home in Tides End in advance of the February 2018 opening of sales in this community. Named as Kiawah, this model home is a spacious, one-story design with a floor area of 2,907 square feet featuring four bedrooms, three baths and a three-car garage. The Kiawah’s layout flaunts an impressive gourmet kitchen with its large island overlooking a den, the great room and a dining space. This home’s master suite comes complete with a large walk-in closet, a pair of sinks, a walk-in shower and a water closet. The plan also has flexible space options for a bonus room, additional bedrooms and bathrooms and a loft. Tides End is in a well-established area with some 10 other subdivisions within one mile of this new community’s periphery. One of these, the Estuary, is another new development of Neal Communities. Tides End’s locality is amongst the current hotspots for Bradenton homes for sale, as it teems with many of Manatee’s prime attractions. These include the newly expanded Robinson Preserve and the Perico Preserve which underwent a recent restoration as well. The famed beaches of Anna Maria Island and the popular sports venues and events of IMG Academies are also conveniently accessible from the sister communities Tides End and the Estuary, as well as their surrounding neighborhoods. Besides the superb location of its developments, Neal is likewise priming up its sales through its introduction of villas in the mix of the residential styles in its communities. At Indigo, this homebuilder has broken ground for two new villa models as part of its 2018 new home offerings. One of these is the Sandcastle, is a three-bedroom, two-bath model with a den, while the other is the Tidewinds, a two-bedroom, two-bath villa with a den. Scheduled for completion in the spring, these villas feature tile roofs and paver driveways. Neal’s villas are maintenance-assisted homes for which the upkeep covered includes the homes’ lawns, trees and shrubs. This maintenance also covers fertilizer, exterior pest control, exterior repainting, and roof replacement. 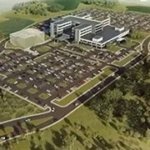 Indigo, which opened in 2015, is planned for 580 homes on its 151.32-acre site. Home pricing in this community starts from the upper $200s. Neal’s villas are likewise being offered at the Boca Royale Golf & Country Club in Englewood, Eagle Trace in Bradenton, Grand Palm in Venice, Milano in North Venice, Silverleaf in Parrish, and at Villa Amalfi in Sarasota.